This invitation is available in DIGITAL and PRINTED formats. • You will not be able to edit the file by yourself. All editing will be done by Reply by Design Studio. • Sizing changes can generally be accommodated for digital files. If you'd like to change the size of printed items, ask about availability and pricing. 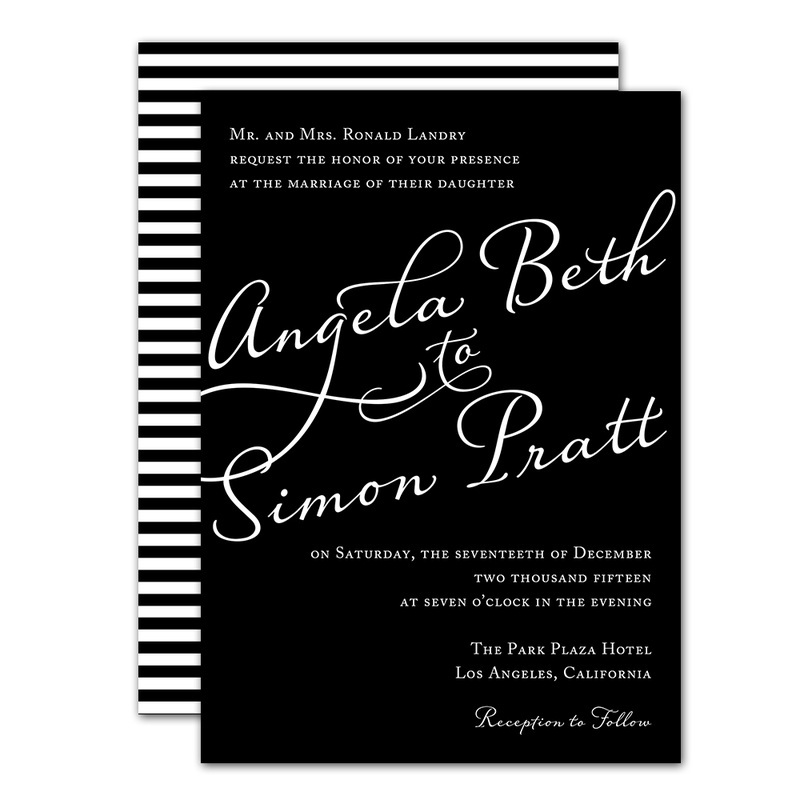 The Styled invitation will surely make a statement from the second your guests remove it from the envelope. The striking typography perfectly blends elegance and modernity. Invitations are printed using the highest quality papers and printing equipment. Choose from hundreds of paper and envelope options. ​Budget-friendly digital printing provides high quality at low costs. If you're looking for a more high-end finish, you can choose from several other printing styles, including foil, letterpress, embossing and more.